With a number of Prince's classic albums, all of those released by Warner Bros., now available to stream online, the label has announced details of a long-awaited vinyl reissue for Purple Rain. The reissue will also feature two albums of unreleased music and two complete concerts all lifted from Prince's vaults at Paisley Park. The release was originally announced in 2014 with the record set to be remastered as part of the plans, but now it's finally set for release on June 9. 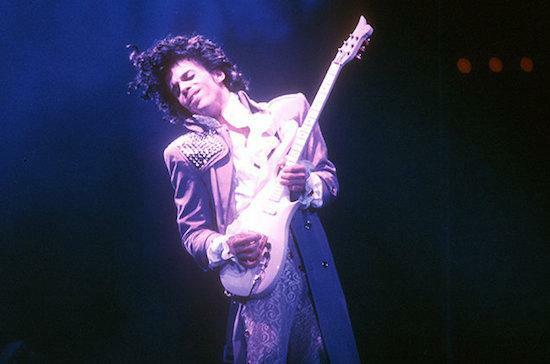 "When we make any of Prince’s music available to fans - from the hits to unreleased gems - we are committed to upholding Prince’s high creative standards and we know fans will be thrilled when they hear these albums and see these films," said Warner Bros. Records CEO Cameron Strang in a statement announcing the release of the reissue.